Seesaw is a student-driven digital portfolio that empowers students of all ages to independently document and share what they are learning at school, whether it be digital or non-digital. You, the teacher are able to manage all of the content that is added. Seesaw is a great app to use in the classroom regardless of the subject! Download the Seesaw app. 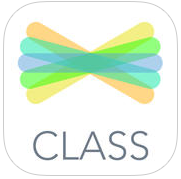 Download the "CLASS" app, NOT the "PARENT" app. If you already have downloaded Seesaw and created a teacher account, be sure to sign out and sign back in as a student. Open Seesaw and tap on "I'm a Student." Scan the QR Code (after you enable camera access) that is at the bottom of this Smore Page. 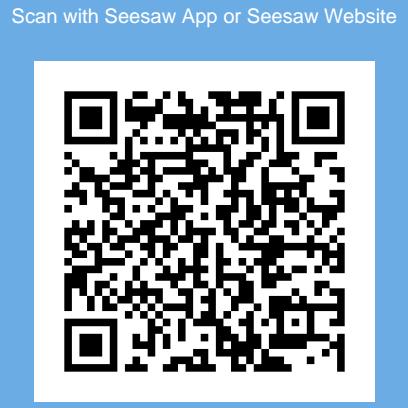 The QR Codes scanner that is built into Seesaw is the only scanner that will scan this QR code. You are now ready to complete the six steps in this challenge! Haven't used Seesaw yet? Here is your chance! By logging into this class and completing the challenge, you will gain a better understanding of Seesaw and how it could be used in your classroom. Here are the tasks for each tool. Be sure to "turn in" each task! Photo--Take a photograph of your classroom. Video--Shoot some video of your Christmas tree at home. You can narrate the video if you choose. Drawing--Write the word "Christmas" using the pen tool, now tap on the record button. Describe your favorite Christmas memory. Be sure to tap the record button when you are finished. 10,000 Bonus Points if you add some illustrations around the word Christmas. 15,000 Bonus Points if you can illustrate and talk at the same time. Camera Roll--Add a random image from your camera roll. 25,000 Bonus Points if you can figure out how to add audio to this image. Note--Create a list of three things you need to get done before Christmas. Link--Submit a link to a website that you like to peruse. HOW DO I "TURN-IN" each item? After completing a task, tap on the green circle that contains a white check mark in the upper right-hand corner of your screen. You will eventually see a list of names of all of the teachers in our class. Tap your name and make sure a green circle with a white check mark appears next to your name. Tap on the green circle in the upper right-hand corner one more time to complete the turn in process. After completing your tasks, be sure to check back in to the app every once in awhile to see what others have added. There is a PARENT app. When you decide to sign up for your teacher account, check your settings and the "Manage Class" tab to tap into a variety of options for your class. Enable parent access, send home the invites that Seesaw creates for you and your parents will be notified anytime their child posts to Seesaw! 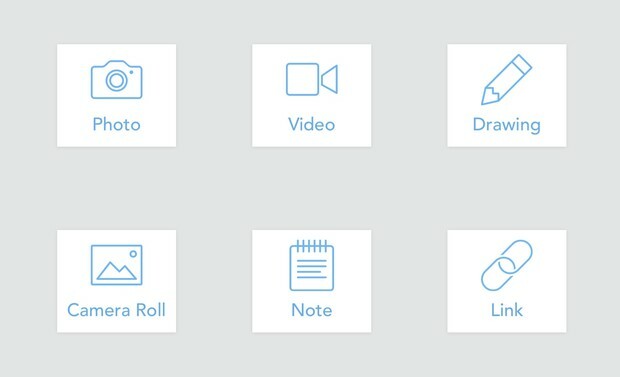 Explore your settings tab to enable or disable certain features within Seesaw. Tap on "Manage Students," pick a student, then tap on "Icon." You can now assign an avatar for said student. This is a great activity to do on your Smart Board. Check out the "Folders" option! Tap here to see a whole bunch of resources about how to use Seesaw in the classroom.